To celebrate Valentine's Day and the publication of Tweetie Pie - a little book of romantic tweets - I thought I would set you a little literary challenge. For the chance to win a box of sublime Prestat chocolates and a selection of Valentine reads - including Postcards from the Heart by the divine Ella Griffin - send me a Valentine story in 140 words. The best one wins - it's that simple. 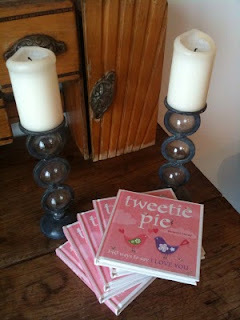 Whizz your entry off to competitions@orionbooks.co.uk with the subject line 'Tweetie Pie'.